Experience The New Silk18 Shampoo! We’ve all known the saying since we were in grade school: An apple a day keeps the doctor away. What this old adage means is that if you live a healthy lifestyle and make smart food choices, you can keep your body safe and healthy. But I’ve always kind of wondered what if the saying was meant literally? As in, apples can really provide your body with so many vital nutrients. Or, for the sake of this article, apples in their fermented form – apple cider vinegar. 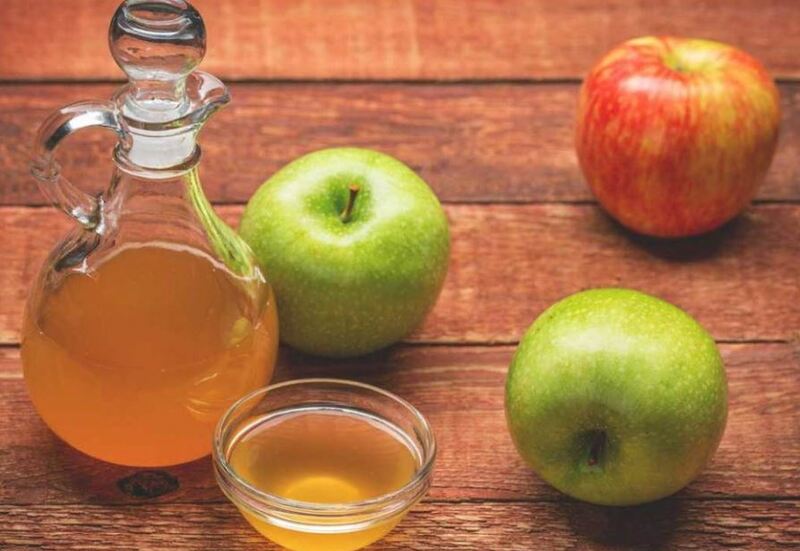 Let’s take a closer look at ACV and the wide range of benefits it has to offer! So, you probably didn’t need me to tell you that apple cider vinegar has something to do with apples. ACV is made from fermented apples, which means that bacteria and yeast are added to crushed apples. As apples ferment, acetic acid forms, which is the acid that you recognize as the sour taste of vinegar. This acid, together with the yeast, break away and form another substance that we call the “mother”. You may have heard people referring to ACV as ‘apple cider vinegar with the mother’ or ‘apple cider vinegar without the mother’. Organic ACV is what we call ‘with the mother’; it’s cloudy (since the mother has been left in) and has amazing health benefits. ACV ‘without the mother’ has had the mother removed – you’ll recognize it because of its clear consistency. Apple cider vinegar, once the mother has been formed, is alcoholic. However, if it’s left to ferment for longer, it becomes sour – and turns into vinegar. 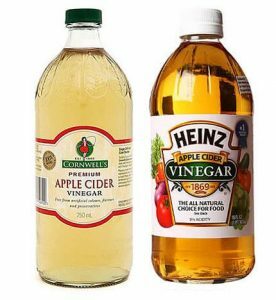 Most ACV detox recipes call for 1-2 tablespoons of cider vinegar, together with water or other juices. However, most people add spices or sweeteners to just to make it more palatable. These detox drinks should be taken only once or twice daily – Usually first thing in the morning and later, before your evening meal. Of course, only raw, unprocessed ACV should be used if you’re trying to access the detox benefits. Because apple cider vinegar is acidic, only drink it if it’s very diluted, and even then, it is preferable to use a straw. Be sure to brush your teeth with baking soda afterward so you won’t have to visit the dentist sooner than you’d like. 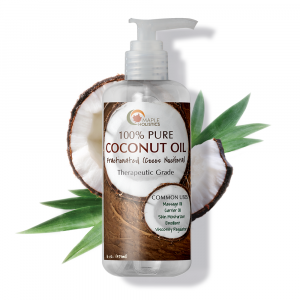 We all want lush, healthy, shiny hair – and, as such, most of us are searching for the magic ingredient to help us look our most beautiful selves and keep our hair at its best. Adding an apple cider vinegar rinse to your shower routine can greatly enhance the quality of your hair. It’s not something that has to be done every day – you can do the rinse anywhere from once a week to once a month. After you have washed out your shampoo, simply apply a solution of diluted ACV (about 2-4 tablespoons per 16 oz of water) and pour the mixture over your scalp, making sure it doesn’t get into your eyes. It should run down the entire length of your hair and sit for 1-2 minutes before you wash it out. Depending on what type of hair you have and what issue you are targeting, you may have to adjust the amount of ACV you use. Apple cider vinegar can be used as a natural teeth whitener, but the first thing I have to mention is that misuse can break down the tooth enamel (protective coat of your teeth). Therefore, apple cider vinegar should be used sparingly on the teeth, and preferably diluted. Either use a finger to gently rub cider vinegar over your teeth before rinsing your mouth out with water or gargle a solution of 1 part cider vinegar: 2 parts water, for a clean, white smile. While you should brush your teeth after rinsing with ACV, it’s best to wait around a half an hour before doing so. This is just a precaution so you don’t put pressure on your teeth after they have had an acidic substance on them. To see results, you’ll need to rinse with ACV for a few weeks until you notice brightening. If you’re planning to use it for a while, don’t forget about all the necessary precautions. There are lots of diets out there that claim to help you lose weight. Some work, some don’t, and some only work for certain people. But using apple cider vinegar doesn’t require you to eat ridiculously. Just a few teaspoons a day, with exercise and a balanced diet can help you to lose those extra pounds. It’s not a magic formula, but if you’re eating right and taking care of your body, ACV can encourage those few stubborn pounds that still want to stay, to leave. Drinking ACV with your meal helps you stay full for longer – which prevents snacking later on. This is due to pectin, a starch that’s found in fruits, especially apples. If your meal involves carbs, the acetic acid in ACV helps to block digestion, which reduces the calorie intake and regulates blood sugar levels, so they don’t spike like they would without the yummy vinegar. Apple cider vinegar also helps your digestive system along and keeps fat moving so it doesn’t spend too much time in your digestive tract. One of the most popular diets to utilize ACV is the keto diet, which has proven to be surprisingly effective. 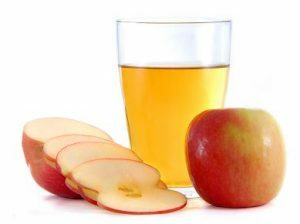 To utilize apple cider vinegar for weight loss, mix two teaspoons with 8 ounces water, and drink before your meals (twice daily). You can also add honey to make the drink more palatable if you like. Again, since ACV is acidic, it’s recommended to always drink it through a straw to avoid contact with your teeth as much as possible. There are other ways that you can take advantage of apple cider vinegar, some of which you may have heard of, and some which you probably haven’t. Time to Consider ACV for My Hair. Truthfully, apple cider vinegar has never been a staple in my kitchen. Growing up, my mom never believed in using different kinds of vinegar; she only used your standard white vinegar – and I guess that mindset kind of rubbed off on me. But I noticed both apple cider vinegar and red wine vinegar in her pantry when I visited her recently. She told me that she had gotten a recipe from one of my sisters, who had insisted that she use the proper vinegar to enhance the flavors of different dishes. I thought to myself, “Well, if Mom can use it, so can I!” I still have a phobia of using really abstract ingredients, but I can proudly say that I have used apple cider vinegar in cooking, and it’s not the same as regular vinegar. Even if it isn’t something you’re used to using regularly, don’t be afraid to go a little out of your comfort zone – it’s worth it. ACV is easily available; most supermarkets or grocery stores will stock it. Will I also use cider vinegar for my teeth and hair? Well, I definitely want whiter teeth, and my hair could use a boost too….so, after learning all about this incredible vinegar, I’m certainly not ruling it out! The key with ACV is to take it slow and see how your skin/ body reacts to it. Since it is acidic, it can cause irritation, and you may have to limit your use of ACV if you find yourself particularly sensitive. It’s incredible how something as humble as apple cider vinegar can do so much for your body. I mean, sure, people are adding all kinds of things to their diets to help them lose weight and improve their appearance: spinach, kale, broccoli; but apple cider vinegar?! 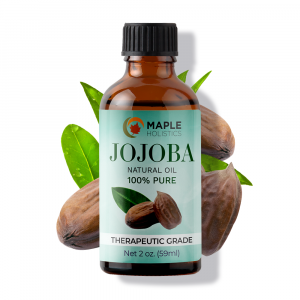 Truly, not enough is said about this ‘liquid gold’ with regards to what it can do for you. Like most things, too much can be dangerous or cause uncomfortable side effects – but in moderation, ACV has the power to greatly enhance both your internal health and your external beauty. Alternative Milk Explained: Which Alternative Milk Is Right For You? Beauty Tips From Ancient Greece: Practical Greek Skin Tips! 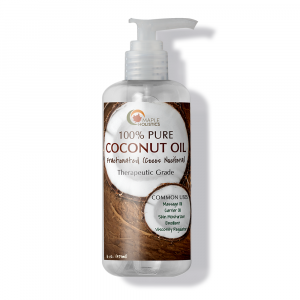 Which Natural Oils Are Best For Your Hair? One Simple Secret To Keep Looking Young! Top 5 Sea Salt Sprays Breakdown: What Is Sea Salt Spray? Co-Washing Explained: Can Conditioner Treatments Save Your Hair? Neutrogena Light Therapy Acne Mask Review: Does It Work? Nivea Body Wash Line Reviewed: Safe For Skin? Herbal Essences Dry Shampoo Review: Does It Work? Lush Massage Bar Review 2019: New And Improved Massage? Hair Botox: The Ultimate Hair Repair Or Hair Hoax? Olay Face Creams Review 2019: Which Is The Best Olay Face Cream? We like to keep things simple. 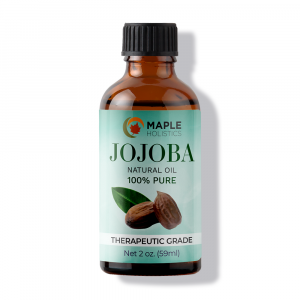 Just complete the following form and you’ll be on your way to receiving your free Maple Holistics product! We are not looking to solicit fake reviews. 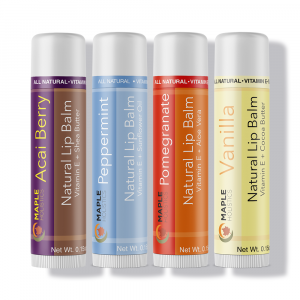 Many companies choose to collect five star reviews from those who have never even used their products. We are not one of those companies. *Offer expires 7/1/19. Limit 1 promotion per household. Free products are standard full-size. Free shipping and handling for United States addresses only.